To that end, we've combed our great nation from coast to coast and ranked 10 'hoods whose curbside appeal is undeniable. 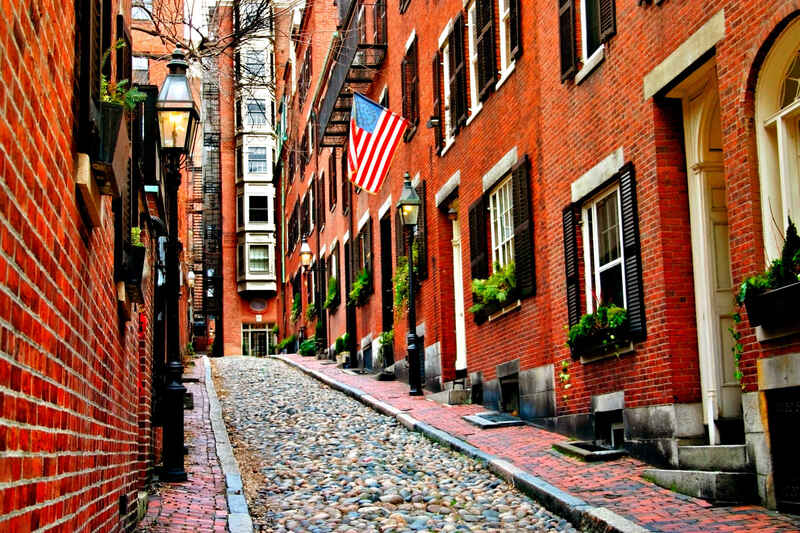 From East Coast historic districts to West Coast sea cliffs, these are the most beautiful neighborhoods in America. 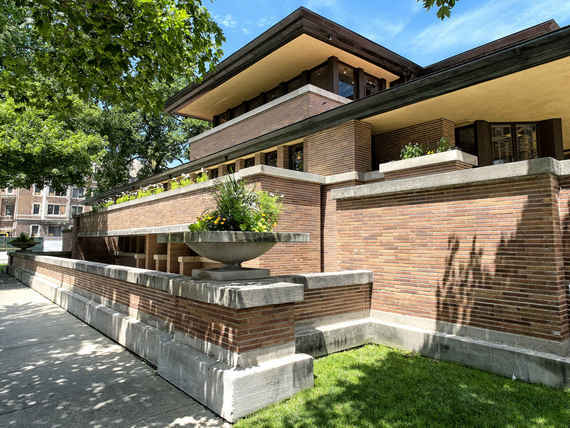 A lot of what makes a neighborhood noteworthy has to do with the people who live there -- be they tons of hipsters, yuppies or the sexiest people on Earth. But, as much as these interesting citizens influence their environments, some parts of town stand on their own as more aesthetically pleasing, more architecturally interesting and more drop-dead-gorgeous than the rest of the city. Following the construction of the State Capitol Building in the 1870s, many of Denver's wealthiest citizens decided to set up an opulent enclave of mansions in the surrounding neighborhood, building their own "Millionaire's Row." 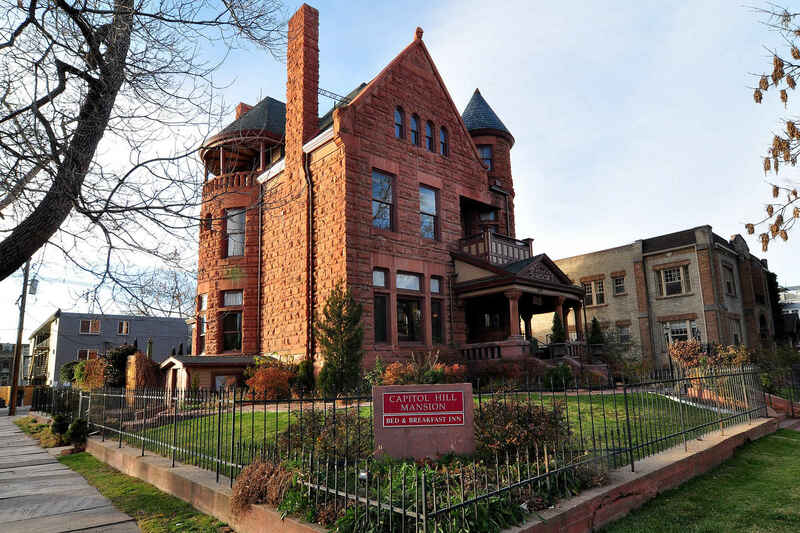 Many of these towering homes were demolished during the Great Depression, but houses like the Fleming-Hanington House and Alfred Butters House still remain -- others, like the Capitol Hill Mansion Bed and Breakfast and the Molly Brown House Museum, have found second lives in the years that followed. A more recent section of the neighborhood, nicknamed "Poet's Row," features a slew of art deco-styled apartment houses that bear the names of famous literary figures, from Mark Twain to Emily Dickinson. Built for the middle class following World War II, these apartments are (unsurprisingly) popular among the city's younger, bohemian crowd. With their eclectic mix of architectural styles, ranging from Second Empire and Italianate to Gothic Revival and Queen Anne, the houses that line Victorian Village's streets are anything but cookie-cutter. Standouts like the Sells Mansion, with its Richardsonian Romanesque styling and intricate, Moorish detail work, add further bursts of character to the neighborhood, while the iconic Goodale Park to the south -- donated in 1851 by the first doctor to live in Columbus -- serves as a lush, green anchor to the entire neighborhood. 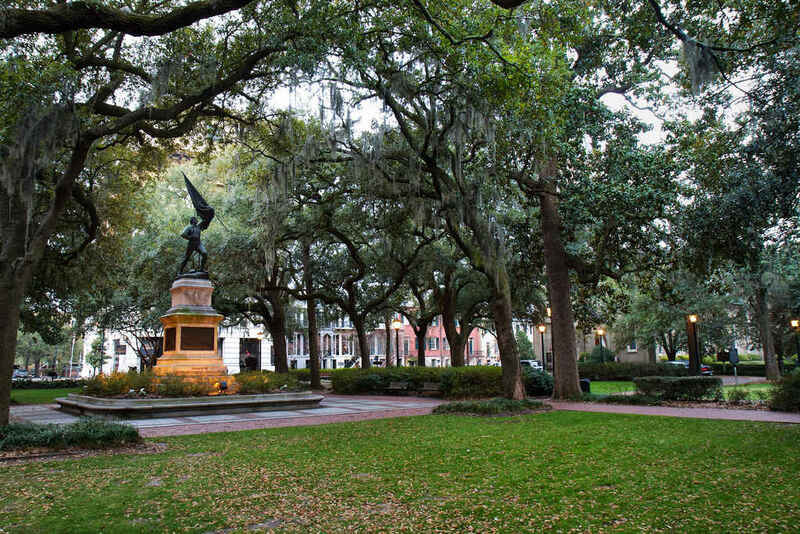 As the oldest city in Georgia, it's only fitting that Savannah contains one of the largest historic districts in the nation, spanning from Gwinnett Street to the Savannah River. This landmark 'hood was designed around a grid of 22 individual park squares and has half of Forsyth Park falling within its boundaries, making live oaks decked with Spanish Moss an integral part of the area's allure. The buildings themselves are nothing to sneeze at either (after all, moss and pollen might make you sneeze), sporting a melange of architectural styles from Gothic to Regency, as well as exquisite ornamental ironwork. 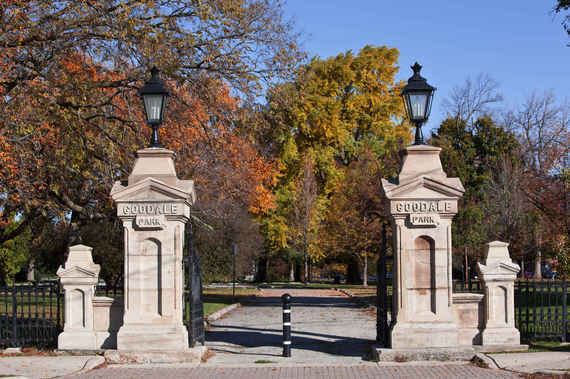 The Hyde Park area served as a setting for the 1893 World's Columbian Exposition, and following the event's staggering success, this formerly quaint neighborhood became a prized locale for development. Many of the luxury hotels constructed along the lakefront still stand, although they've since been turned into apartment buildings and condos. Hyde Park's also home to Frank Lloyd Wright's iconic Robie House, probably the finest example of Prairie School architecture in existence. Most of the original buildings constructed for the 1893 Exposition were destroyed over the years, and the enormous Palace of Fine Arts (now The Museum of Science and Industry) is actually the only remaining structure from the White City. You can, however, still visit the Wooded Island in Jackson Park -- designed for the Exposition by Frederick Law Olmsted, it was reconstructed after being vandalized during World War II. You might've expected to see the Painted Ladies of Haight-Ashbury here, but beyond those multicolored Victorian houses, there isn't a whole lot of "beauty" to be had in the Haight -- unless you find head shops, hippies, and tourists particularly beautiful. If that's the case, well, stop reading this list and get your eyes checked and your head examined. 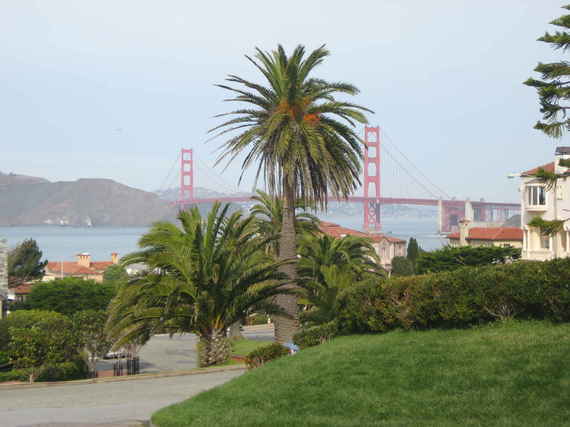 Sea Cliff, by comparison, offers incredible views of the Golden Gate and the bay, crammed with striking, million-dollar homes owned by the likes of Sharon Stone, Metallica's Kirk Hammett, and the late Robin Williams. This pretty, scenic district is private, too: it's essentially off-limits to tour buses and vans, forcing tourists and gawkers to drive themselves (or hoof it) if they wanna see how much house Kirk got for his Master of Puppets money. Answer: it's a lot. To find out which beautiful neighborhoods snagged the top 5 spots, head over to Thrillist.com!